Boating accidents have been on the rise on the Chain O’Lake in recent years. This is due in part to the increase in the number of watercrafts on the lakes. It is further due to the number of individuals operating their boats while drunk or intoxicated.If you or someone you love has been injured in a boating accident it is important to get legal advice. 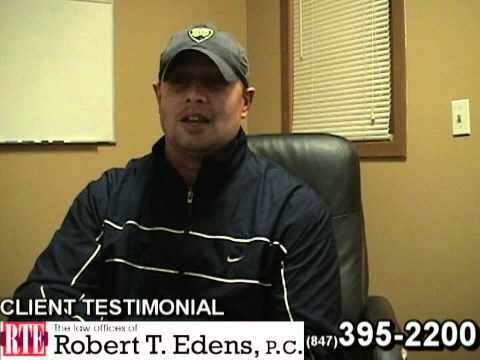 The Law Offices of Robert Edens has been representing boaters for over 20 years. Call for your FREE consultation today. The call is FREE, the advice may be priceless. Bob’s family has owned a home on Fox Lake in Antioch, Illinois for the last 50 years. Bob has enjoyed the benefits of the Chain-of-Lakes and all it has to offer those who visit Lake County, Illinois. However, all to often good fun turns to serious injury when boaters fail to follow the rules. According to the Illinois Department of Natural Resources in 2011 there were 103 boating accidents, 70 injuries, and 21 deaths. Although the number of incidents are not nearly as significant as those associated with automobile crashes, the amount of incidents per registered boaters and the amount involving drugs and alcohol is HIGHER than automobile crash statistics. If you or someone you love has been injured in a boating related accident in is important that you get expert legal advice from a firm that knows about boating and boating relating injuries. Bob and his staff can help you win your case and ensure that you get the most money that the law allows. If insurance adjusters are telling you they wont pay because your weren’t really injured or because you were partially at fault, than you should call Bob today and set up a FREE consultation. Bob will go over the facts of your case in detail and give you an honest opinion of the value of the case. He will tell you about the personal injury claims process from beginning to end. If your case can’t be settled, Bob and his staff have over 20 years of experience taking cases to trial. Don’t let the insurance companies take advantage of you. 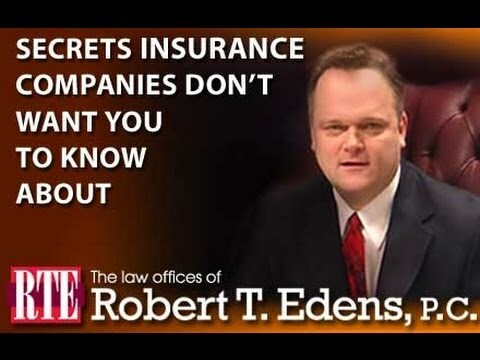 Protect your rights and call Bob TODAY! What is my accident claim worth? The insurance company has made an offer. How do I know its fair? What can I do if the other boater didn’thave insurance? What should I tell the insuranceadjuster? I had a prior injury. How will that affect my case? How do know the best personal injury attorney for my case? Insurance companies are in the business of collecting premiums and paying as little as possible in claims. They don’t have your best interest in mind and everything that the adjuster is trained to do when dealing with you is designed to reduce the amount they will pay you for your injuries. Bob has 20 years of experience in dealing with insurance companies and their adjusters. Protect your right to compensation and monetary damages for your losses and suffering, contact boating accident lawyer Robert “Bob” Edens for a free, no pressure, no obligation consultation. 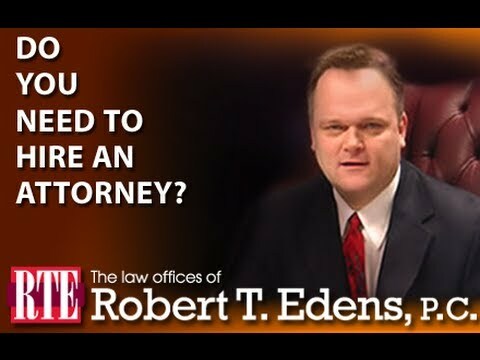 In the event you can’t come to The Law Offices of Robert Edens, Attorney Edens will meet you in your home or hospital room. 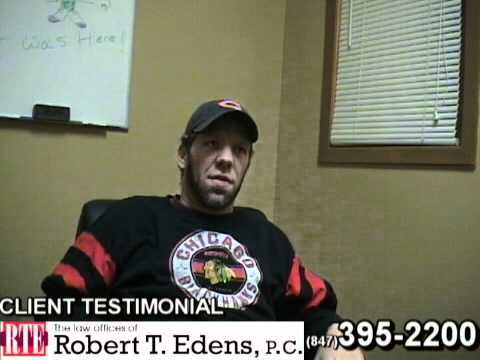 Bob is that serious about your injuries and that serious about protecting a boating accident victim’s legal rights. The United States Coast Guard receives reports for over 6,500 recreational boating accidents each year. The persons involved in the boating accidents report over 4,000 injuries and 650 fatalities per year in the United States. Much like an automobile or motorcycle accident many of the fatalities associated with boating accidents are preventable. The number one cause of fatalities in boating accidents is drowning. Life jackets could have saved the lives of over 400 people who drown each year, over 60 of which occur in Illinois. The majority of injuries and fatalities in Illinois occur on the Chain of Lake right here in Antioch, Illinois. About 8 of every 10 fatalities in boating accidents were not wearing life jackets. Boaters who are not wearing a life jacket are at a far greater risk of dying when involved in an accident. This is especially true during the fall months. In Illinois it is unlawful for a child under the age of 13 to be in a boat without wearing a life jacket. Boaters on Lake Michigan are required to carry flairs and should also have position indicating technologies to improve their chances of survival if a mishap occurs. Most boating fatalities occur on smaller boats. 85% of fatalities occur on boats under 26 feet in length. 72% of the victims drown. The United States Coast Guard reports over 300 fatalities each year in boats less than 16 feet in length and over 250 in boats between 16 to 25 feet in length. Alcohol plays a major factor in boating accidents fatalities on the Chain of Lakes. In 2012 the was a boating fatality involving a young boy being towed behind a boat who was run over by a man driving a boat while under the influence of alcohol and drugs. Alcohol plays a part in 34% of all boating fatalities. A U.S. Coast Guard study indicated that boat operators with a blood alcohol concentration above .10 percent are more than 10 times as likely to be killed or cause a fatality than boat operators with zero blood alcohol concentration. Illinois and Wisconsin offer boating safety courses for young and adult boaters alike. Yet many of the boaters that purchase boats and take them out for the first time on the Chain of Lakes and other lakes in Lake County, Illinois take no advantage of the courses. Boats are not like cars. They do not have breaks and do not turn like an car. It is the lack of boater experience which accounts for about 80% of all boating fatalities which occurred on boats where the operator had not completed a boating safety education course. Nearly 70% of all boating accidents involve operator error. The #1 of these is operator inattention, careless/reckless operation, operator inexperience, operating at an unsafe speed, and no proper lookout. The “capsizing” of the boat and falls overboard accounted for a major portion of the fatalities. This is early 60% of all reported boating fatalities. Nine out of every 10 of the fatalities involve victims that drown. Collision with another boat was the most reported type of accident. These boating accidents resulted in 1,500 injuries and accounted for nearly 9 million dollars property related damage. The smallest group to lose their lives in boating related accidents is children under the age of 13. However, the largest group of boaters who died as a result of boating related accidents was in the 40-49 age group category. The largest group of boats to be involved in boating accidents and fatalities are open motorboats, being just over half of all boating fatalities. Number two on the list is canoes/kayaks, with 93% of of the deaths caused by drowning. 50% of the fatalities occurred in a Personal Watercraft (PWC). 80% of all reported injuries were associated with the use of open motorboats and PWC’s. Lacerations were the most reported type of injury for open motorboats. For PWC’s, broken bones were the most often reported type of injury.